MaxWeb xp is a data logger and the essential hub for remote photovoltaic system monitoring. It records current measured values, yield data, and events and transmits these to our MaxWeb Portal. Together with the MaxWeb Portal, MaxWeb xp forms an ideal team. Using your personal user account, you can access the transmitted system data at any time, in fact from any PC that is connected to the internet. Using MaxWeb Portal is free. 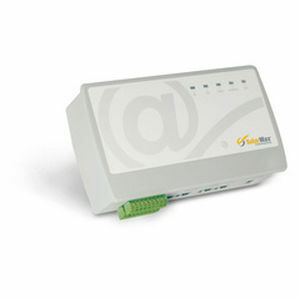 MaxWeb xp permanently monitors all connected devices. If anything goes wrong regarding your PV system, an automatic alarm will be sent via email or SMS to up to three recipients.